Here we have compiled for you a collection of the e-newsletters that we distribute every 4 to 6 weeks to our client list. Please note that prices, vintages and availability of the wines in these newsletters may have changed, but please feel free to contact us if you see something that piques your interest. Sign up to get the latest update! We are very excited to announce that the iconic Rioja winery Marqués de Murrieta has joined the Rogers & Company portfolio. Marqués de Murrieta holds a singular place in the annals of wine. In 1852, Luciano Murrieta, working with fruit from the Duke of Victoria Baldomero Espartero’s vineyards, produced and exported the first commercial “modern” Rioja. To that point in history, Riojas were cheap and cheerful: picked, fermented and sold in the same year. It was Murrieta who introduced barrel and bottle ageing to Rioja, knowledge acquired over many visits to Bordeaux. By 1872, Murrieta’s success had afforded him the Ygay Estate east of Logroño, Rioja’s capital. (To this day the 300 hectare estate is the single largest in Rioja. It is the only source of their fruit – a rarity in the region.) In that same year, Murrieta was named Marqués by King Amadeo I of Savoy, a commendation for his service in the region. The Marqués died in 1911. He had neither wife nor children and left the estate to a second nephew. Though the winery remained in operation through two world wars, lack of capital investment resulted in a period of decline. In 1983, the dynamic Count of Creixell Vicente Cebrian-Sagarriga, owner of Pazo Barrantes, a winery in Rias Baixas, purchased the Ygay Estate and set about restoring it to world-class status: new barrels, new technology, new plantings. Don Vicente died a young man in 1996. He was succeeded by his talented and equally dynamic son, Vicente Dalmau Cebrián-Sagarriga y Suarez-Llanos, who has restored Marqués de Murrieta to greatness. Indeed, today one could claim that it is Rioja’s greatest estate. International columnist, competition judge and all-around wine expert Tim Atkin, a Master of Wine, has published a classification of Rioja wineries styled after the 1855 Bordeaux classification. 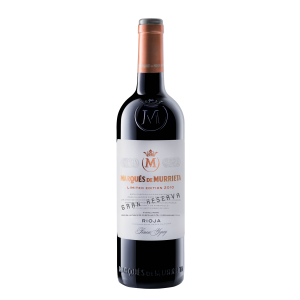 It is based on “the quality of each winery and its wines.” In the 2016 and 2017 rankings, Atkins classified Marqués de Murrieta as a “First Growth”, the highest standing. 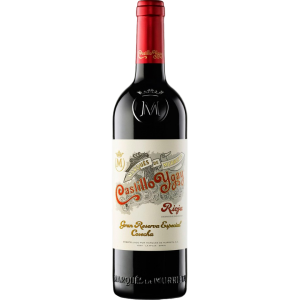 Marqués de Murrieta also stands out as the most recognized winery on Atkin’s medal podium: “Best Winemaker of the Year in Rioja” for María Vargas, and “Best White Wine of the Year” for Murrieta’s Castillo Ygay Blanco Gran Reserva Especial 1986, as well as 98 points, the publication’s highest score. Mr. Atkin highlights Murrieta’s Dalmau 2012, Castillo Ygay Red 2007 and Marqués de Murrieta Gran Reserva 2010 among the Gran Reservas. All three earned 97 points. Capellanía Blanco 2011 received 94 points and Marqués de Murrieta Reserva 2012 93 points. We are able to offer the full range of Murrieta’s wines. We expect that they will arrive in 10 to 12 weeks. 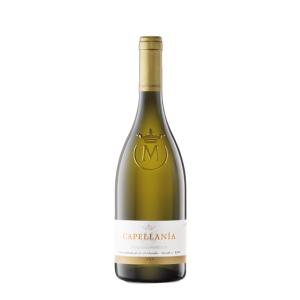 “Capellania” is a limited-production wine from a centenary single vineyard: 100% Viura aged 18 months in new French oak barrels and one year in bottle, resulting in astonishing complexity, structure, and elegance. This is a singular wine, a white wine with the soul of a red. Impressively structured and complex. To enhance the incredible bouquet, decant an hour before serving. Pair with citrus-glazed duck or a firm, meaty fish like grilled sturgeon. “I have been terribly excited about this wine since I first learned that (part of) it was still in cement waiting to be bottled in September 2013. I consider the rare white Castillo Ygay one of the greatest white wines ever produced in Spain, and the 1986 Castillo Ygay Blanco Gran Reserva Especial is a great addition to the portfolio of the winery – an historic wine that is coming back to life. I did a vertical tasting of many of the old, historic vintages of this wine, and they are included in a separate article in this very same issue. This 1986 had seen the light as a limited early release bottled in 1992 and sold around 1995, and some bottles might still be found in the market. But most of it remained unbottled and was kept at the winery, where it stayed in oak for 21 years, followed by some six years in cement vats until it was bottled. It has 13.5% alcohol, an extremely low pH of 2.98 and 6.75 grams of acidity (tartaric). It has a very subtle nose and it’s a bit shy, a little closed at first. It was only bottled one and a half years ago, and it’s not crazy to say that the wine is showing extremely young. The wine shows more open the day after, when it has developed some nuances of mushrooms and verbena tea. This is mostly Viura with perhaps a pinch of Malvasía Riojana (aka Alarije). The palate is both powerful and elegant, with superb acidity and great length, with volume and sharpness, with a mineral, umami-driven finish. It fills your mouth, tickles your taste buds and makes you salivate. There is nothing negative about the wine; there is no excess oak, nothing blurry, nothing to improve… perhaps the bottle used! I think this is a perfect wine. It seems to be getting younger and younger with time in the glass; it seems to be getting more focused and sharper, and I have no doubt the wine will evolve and last for a very, very, very long time in bottle. I kept the opened bottle for almost one week and the wine didn’t move one inch-no oxidation or any signs of fatigue. Having tasted many other vintages, including the also perfect 1919 (which is still going strong at age 97), I have no doubt we’re talking about a white for the next 50 years. Looking at the older vintages, I might even be underestimating its life span. An absolute icon in the world of fine wine, this is produced exclusively in the best years from the Estate’s best single vineyard. The 2007 is composed of 86% Tempranillo and 14% Mazuelo (also known as Carignan). The wine ages for 28 months in 225 L oak barrels: American oak for the Tempranillo, French oak for the Mazuelo. Just after the final blending, before bottling, the wine settles in concrete. The finished wine spends at least three years in bottle prior to release.